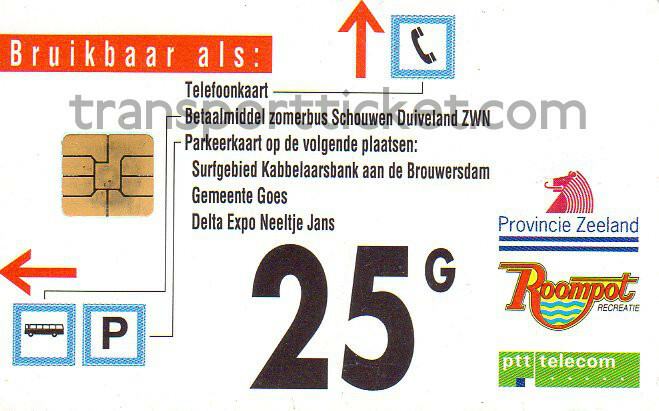 The Zeelandkaart was a telephone card, which could also be used to pay with in shops, public transport and parking meters. The trial started in 1995 in one town in the Dutch province of Zeeland. A year later the trial was extented to the entire province of Zeeland. 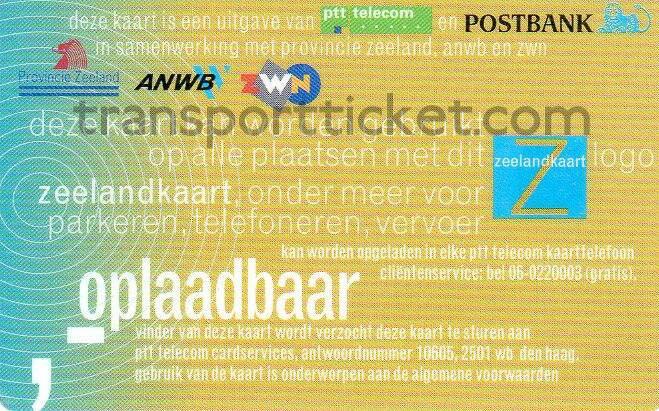 It became at that point possible to use the Zeelandkaart at libraries, restaurants and tourist attractions. The trial stopped prematurely in 1998 as it was possible to illegally recherage the cards. Most card had a value of 25 or 50 gulders. These cards were (officially) not rechargeable. There was a personal rechargeable card as well. 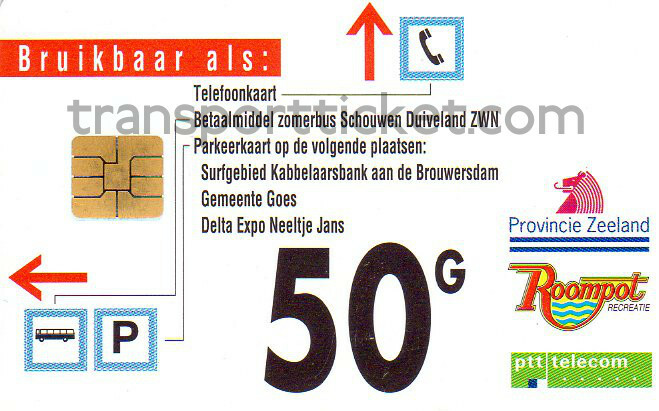 This card could be recharged in PTT Telecom telephone boxes. More than 200,000 non-rechargeable card were issued. Research showed that the Zeelandkaart was mainly used by residents and tourists. Residents used the card in public transport, parking meters and shops. Tourists used the card in amusement parks, museums and restaurants. 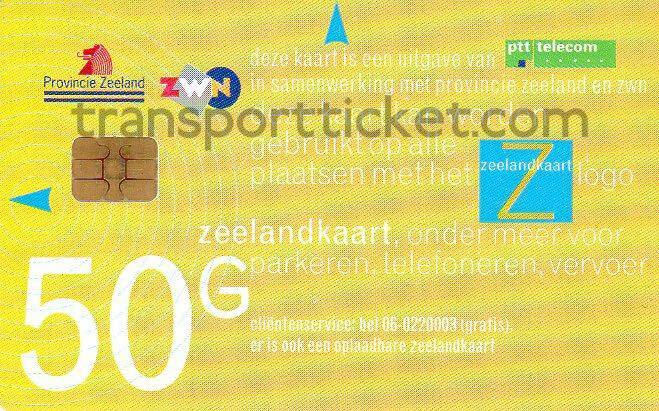 During the test the number of bus passengers in Zeeland increased by 12 percent. Over 200 buses were equiped with smart card hardware.